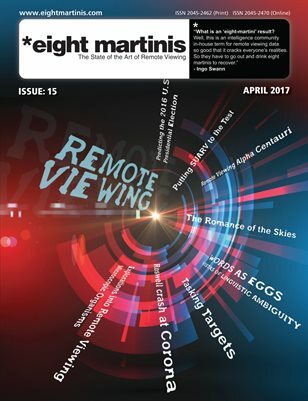 Eight Martinis – Remote Viewing magazine is now in its eight issue. Available as a free download (pdf) or as a full colour printed magazine. An Entangled Net – The Denver DJ Murder Case. – Angela Thompson Smith, Ph.D.